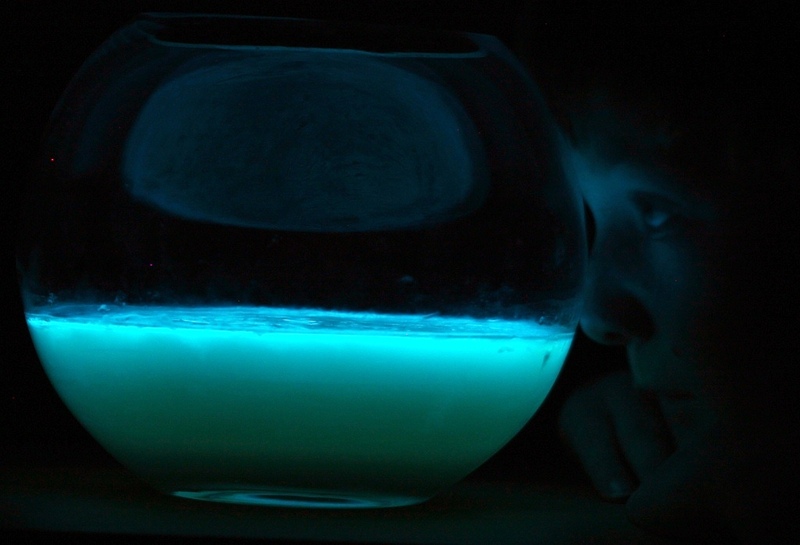 The Biobulb, a light emitting device powered by bioluminescent bacteria and a few teaspoons of glycerol, a byproduct of the biodiesel industry. Four days of continuous and efficient light production. My son Joe gazes into the light and considers his possible futures. Can I ask what species and type of media you used to create this? It’s amazing! Photobacterium phosphoreum and Bioluminescent Agar.